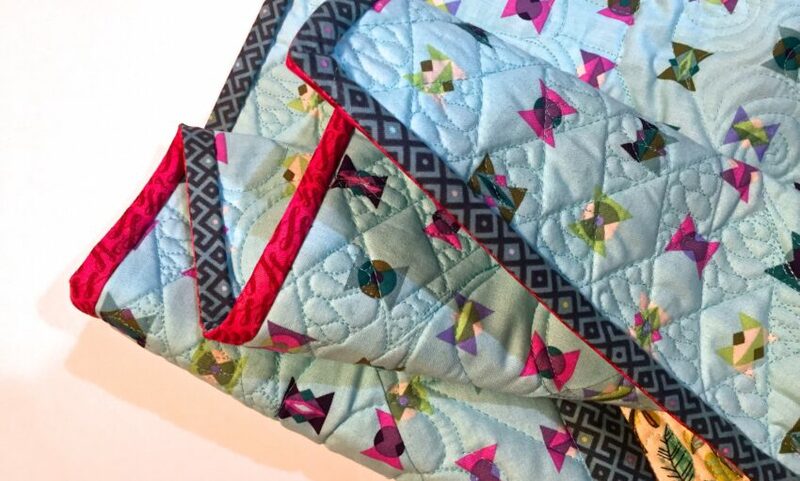 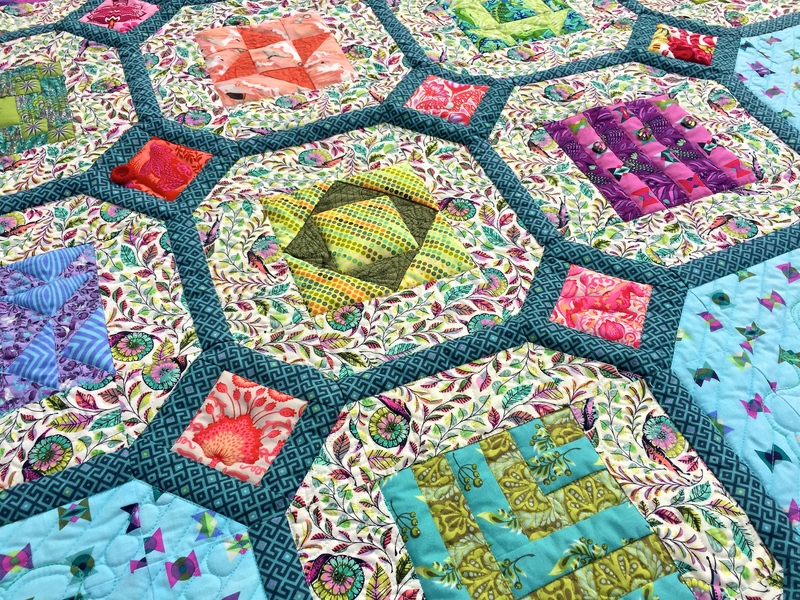 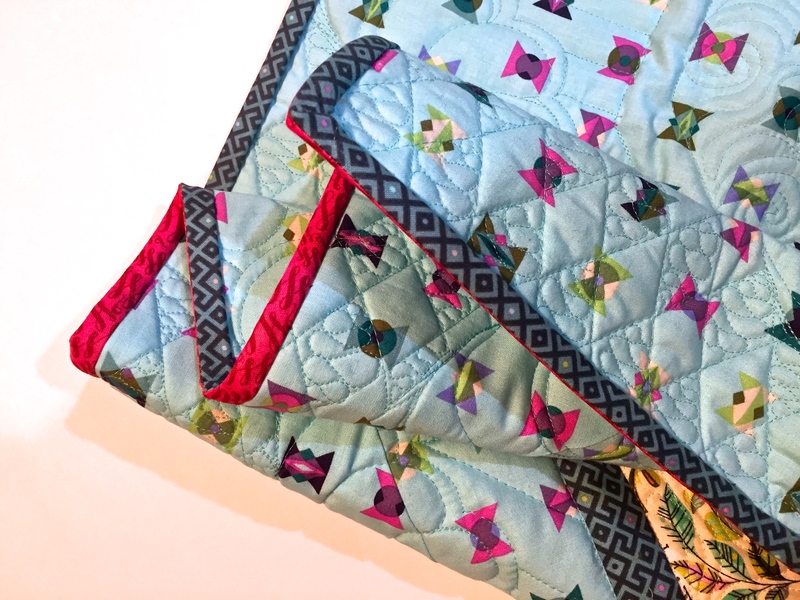 The Bernina 125th Anniversary Quilt Along was in full swing this March. 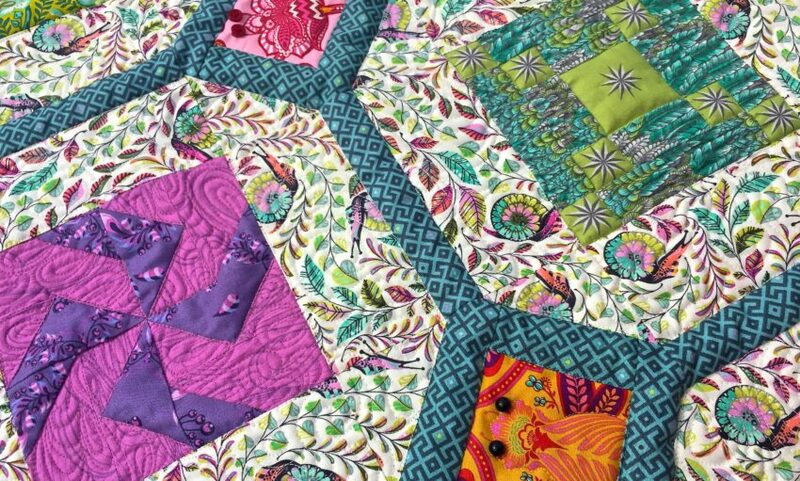 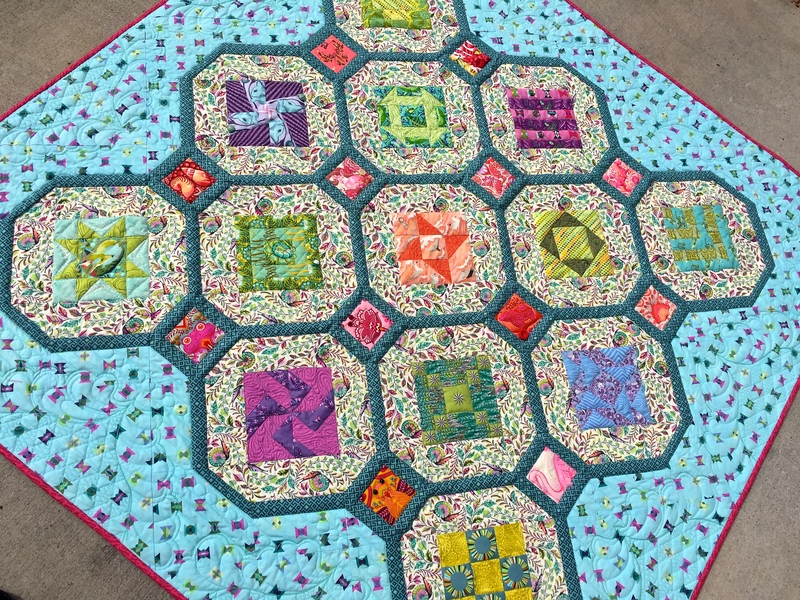 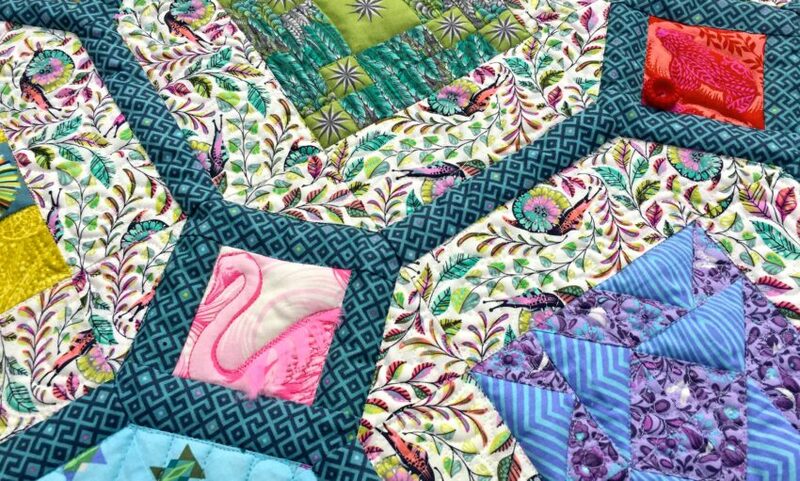 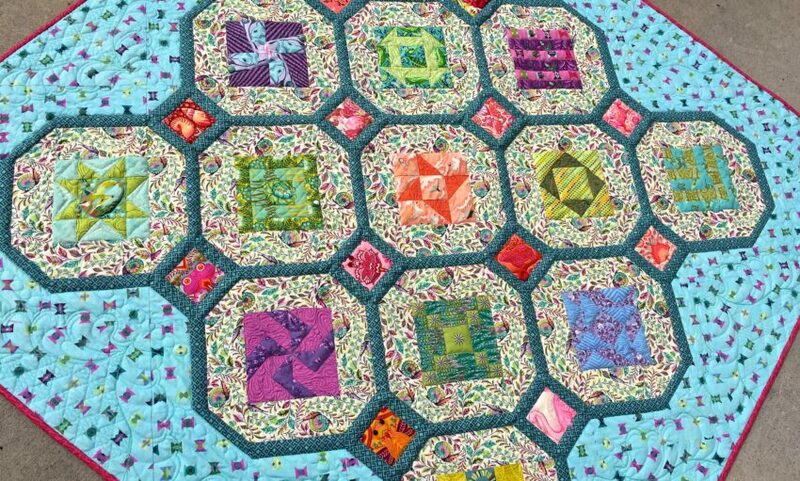 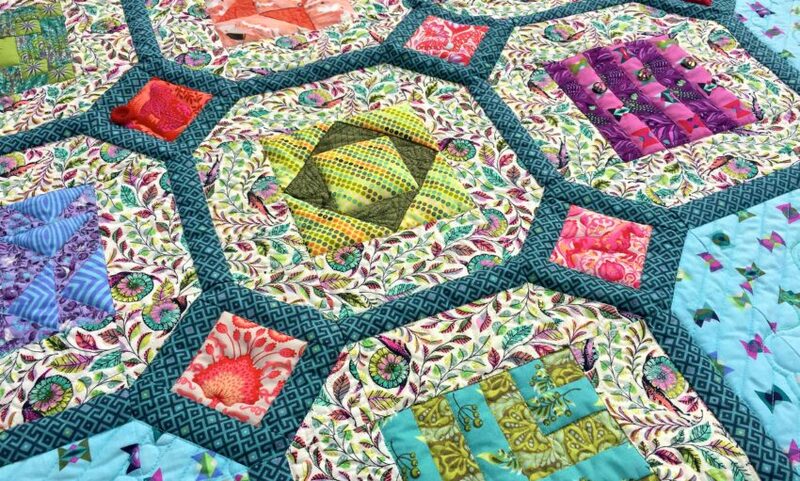 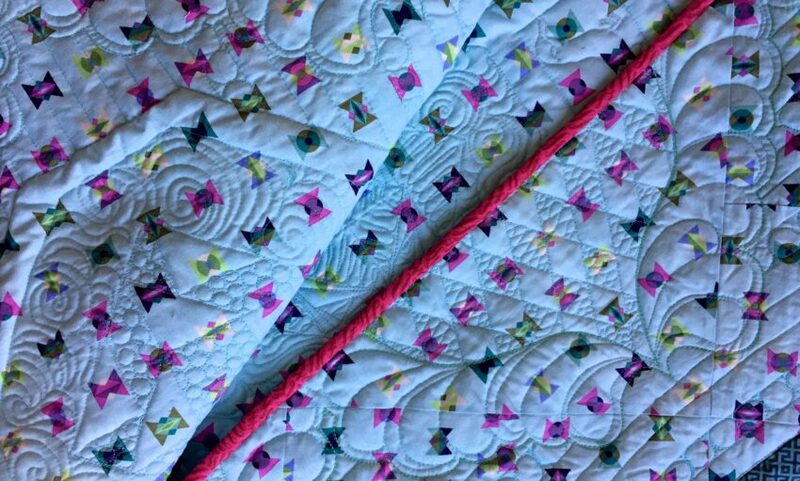 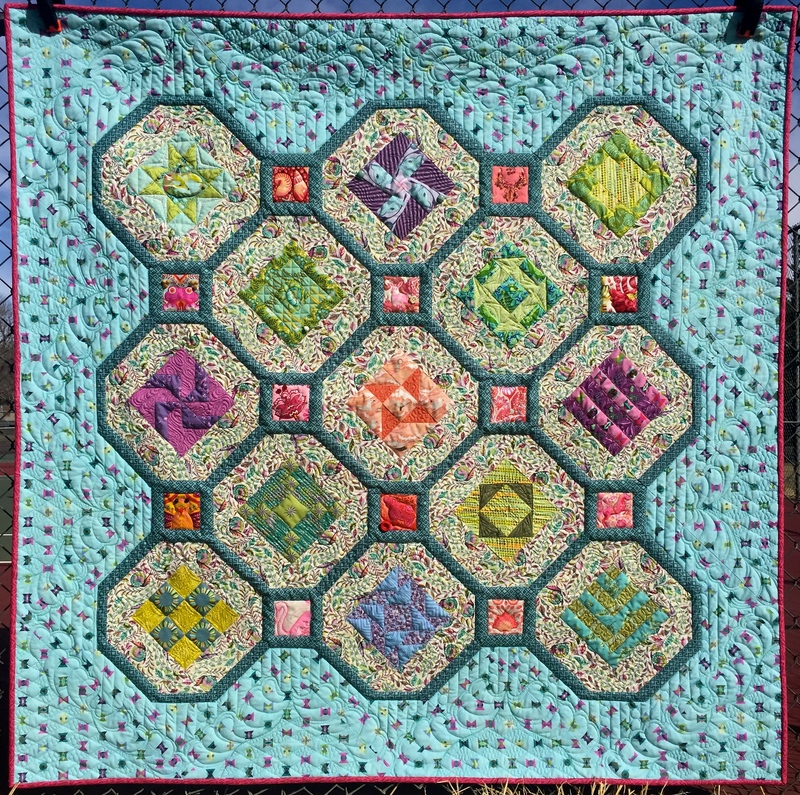 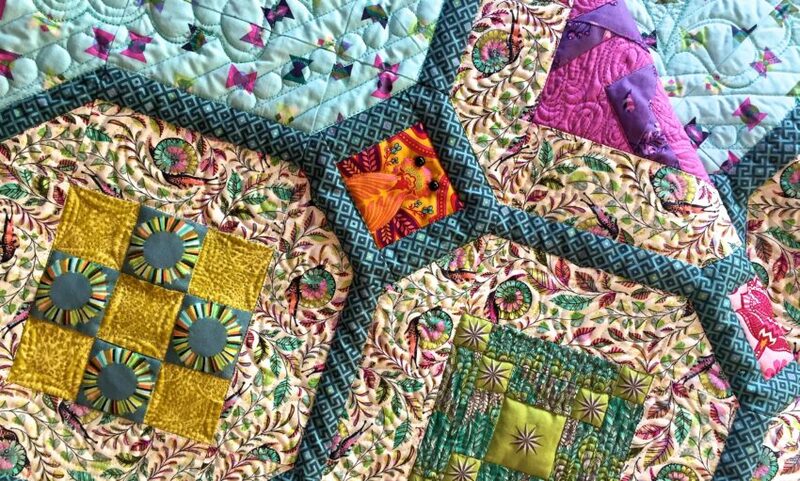 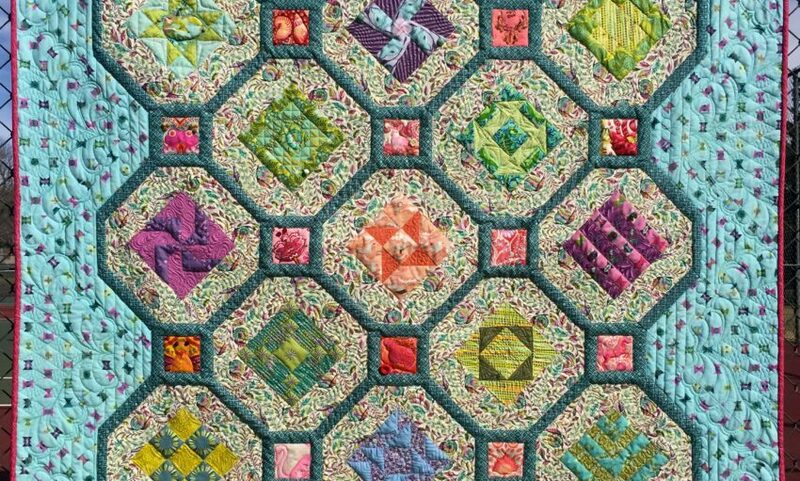 I’d like to share my Vibrant Celebration Quilt as part of the Nationwide Celebration of Quilting Day. 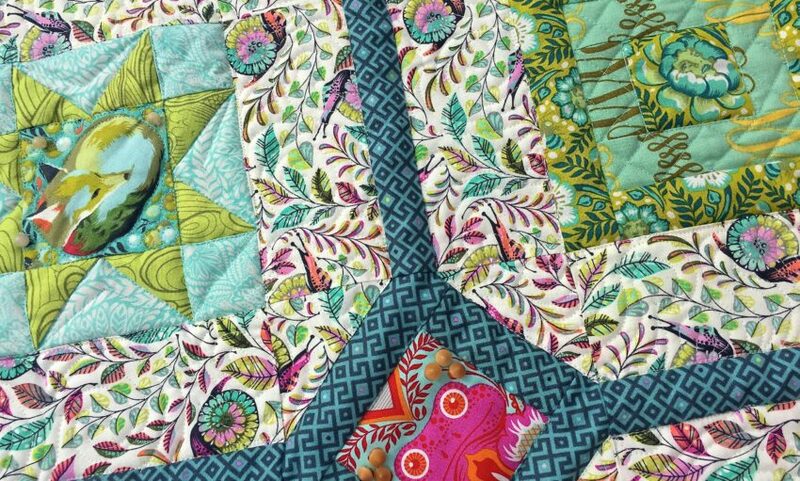 Amanda Murphy shared wonderful blog post tutorials and videos outlining the entire process. 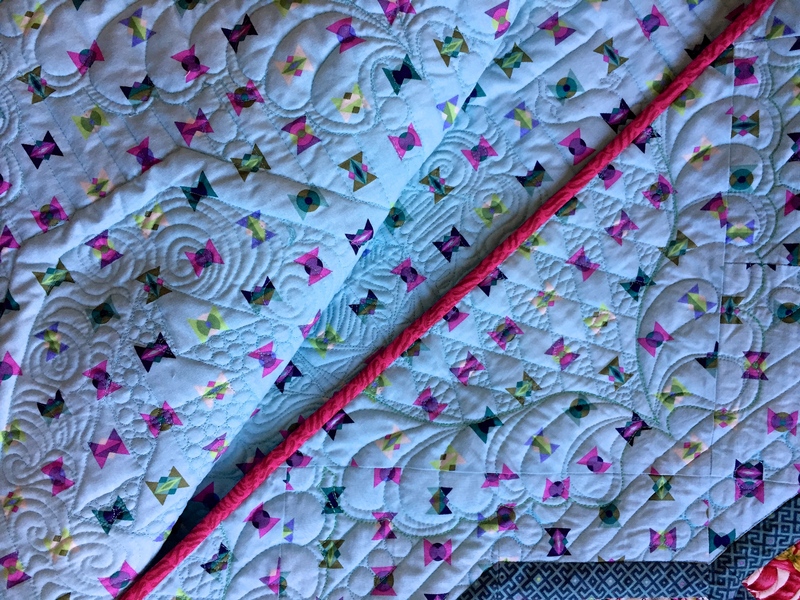 It was a fantastic opportunity to learn about everything from choosing fabrics to pinning for precision, to couching threads, to piped binding. 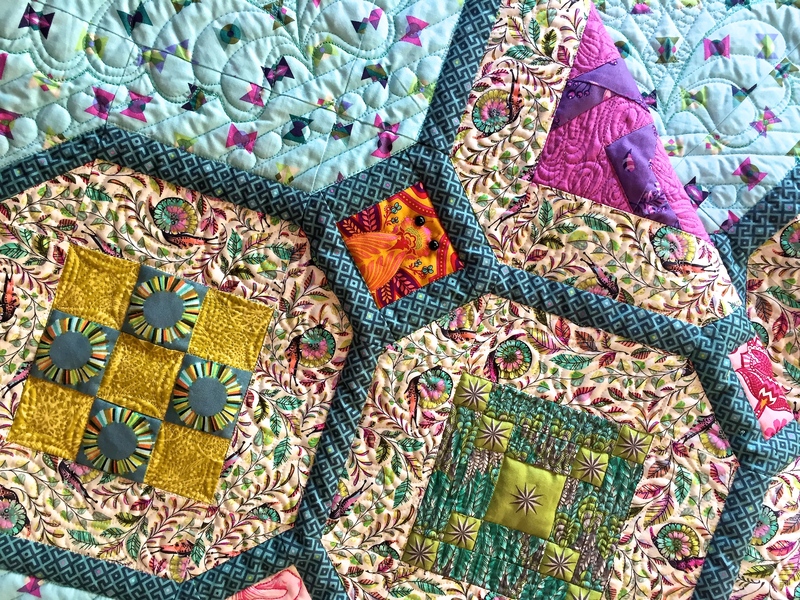 Regardless of skill level and available resources, there was something for everyone to learn and enjoy. 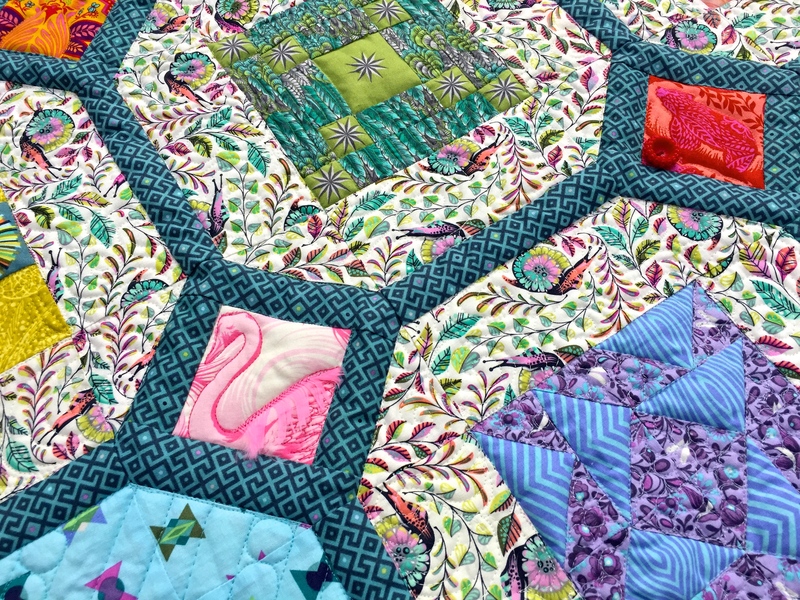 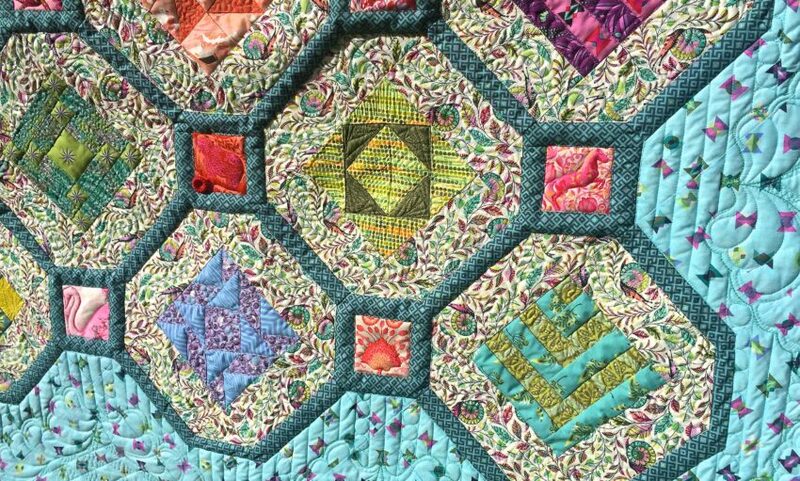 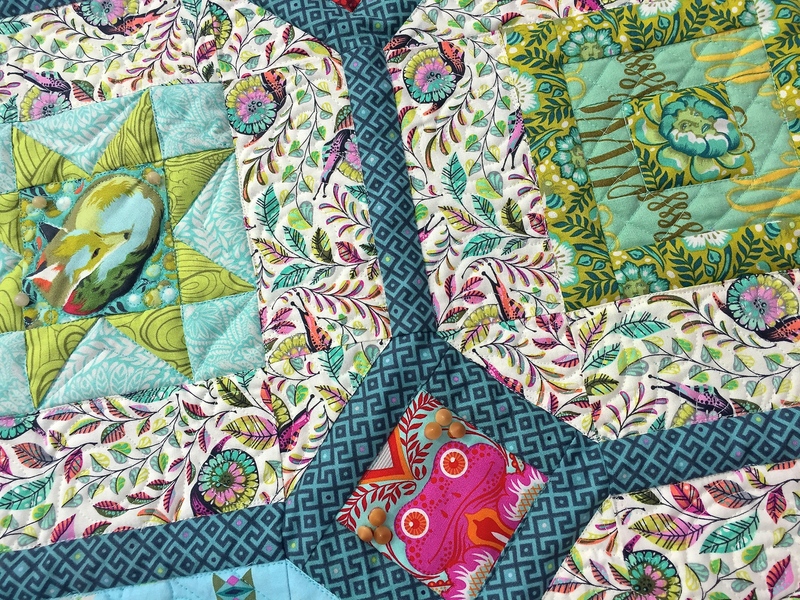 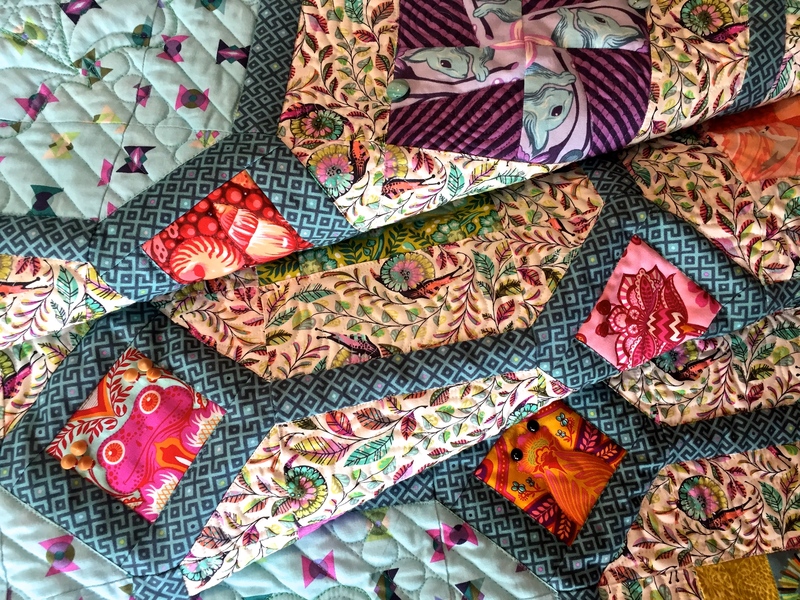 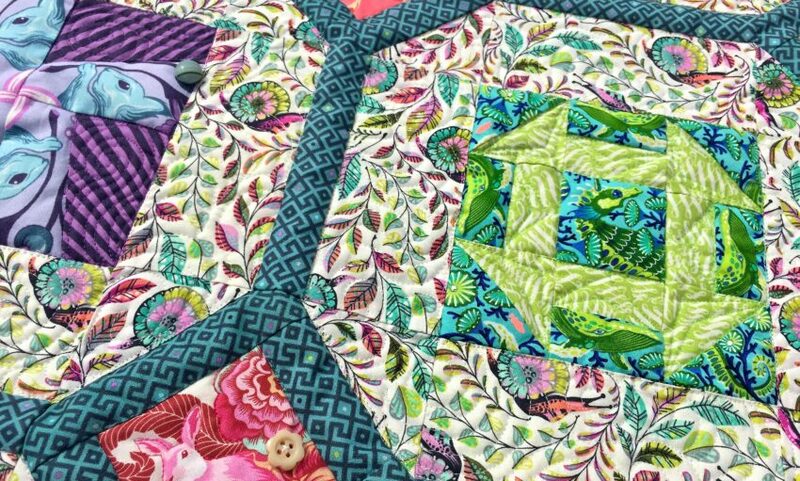 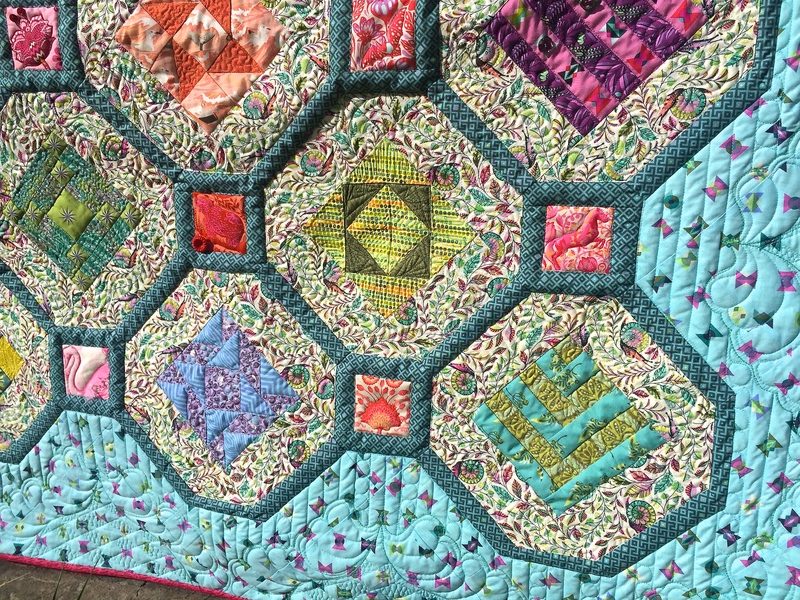 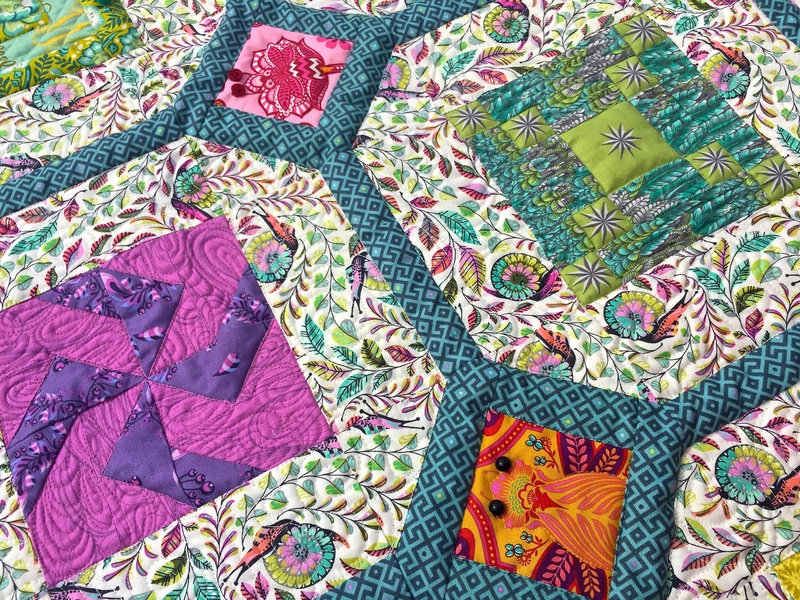 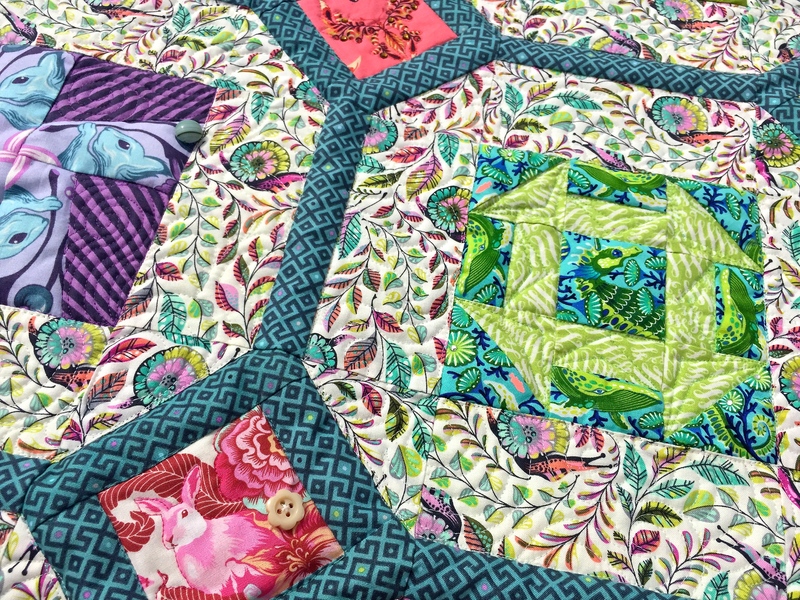 Taking part in the quilt along encompassed the spirit of National Quilting Day, as I got to know others spread far around the globe, who share my passion, as I detailed my process on the We All Sew Community section and socialized through the comment feeds. 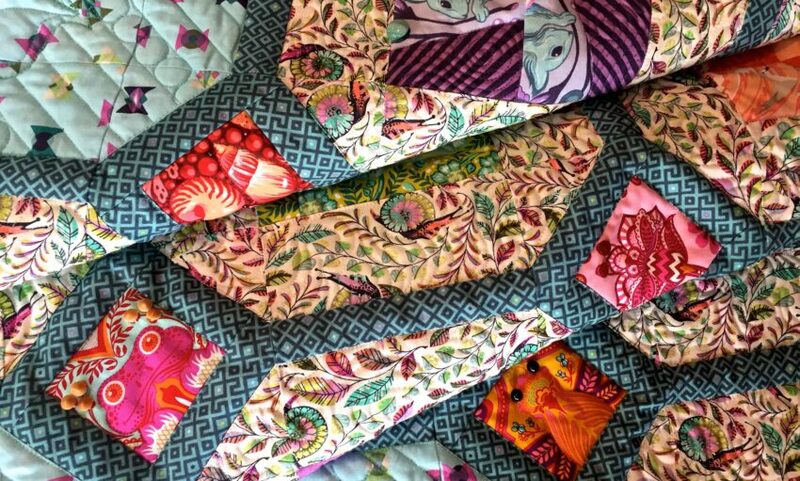 I am thankful for all Bernina does to promote quilting and build community.